The episode begins with Tyson describing how pattern recognition manifested in early civilization as using astronomy and astrology to predict the passing of the seasons. The origin of comets only became known in the 20th century due to the work of Jan Oort and his hypothesis of the Oort cloud. Then the collaboration between Edmond Halley and Isaac Newton in the last part of the 17th century in Cambridge is described. This would result in the publication of Newton’s Philosophiæ Naturalis Principia Mathematica. 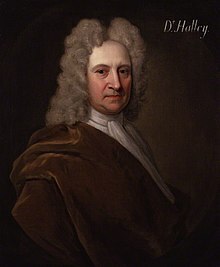 Halley’s contributions are mentioned, including determining Earth’s distance to the sun, the motion of stars and predicting the orbit of then-unnamed Halley’s Comet using Newton’s laws. The episode ends with an animation of the Milky Way and Andromeda galaxies’ merging based on the principles of Newton’s laws.